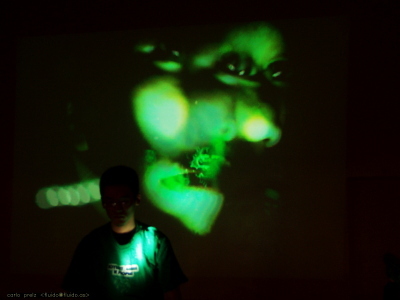 Stage performances with the laser pointer-based interaction system "Laser Trail Tracker". 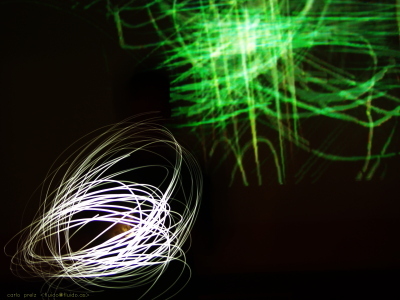 In addition to the drawing performance with laser pointers, the system enables real-time audio visual performance of lasers and lights by using EffecTV's visual processing techniques. 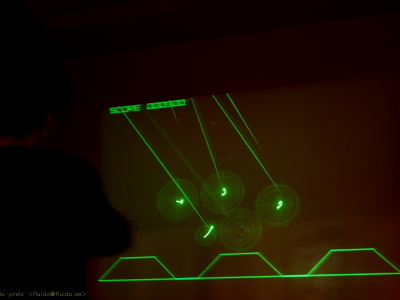 A rhythm sequencer is implemented on the Laser Trail Tracker and manipulated with laser pointers.